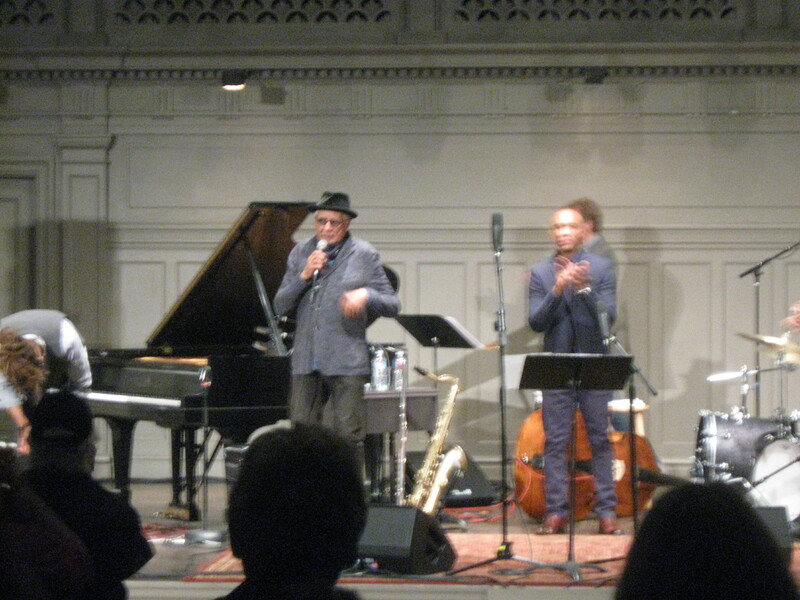 The last time I saw saxman/flautist Charles Lloyd, in 1968, I was 18. He was 29. We were both young. I saw him and his group, which included Keith Jarret and Jack DeJohnette, perform through a haze of marijuana smoke while a psychedelic light show unfolded behind them. The scent of exotic incense wafted through Seattle’s Eagles Auditorium. Hippie girls danced. I’m not sure how many of the long-hairs in attendance really “got” his way-out music, but I didn’t see anyone run screaming from the historic venue. 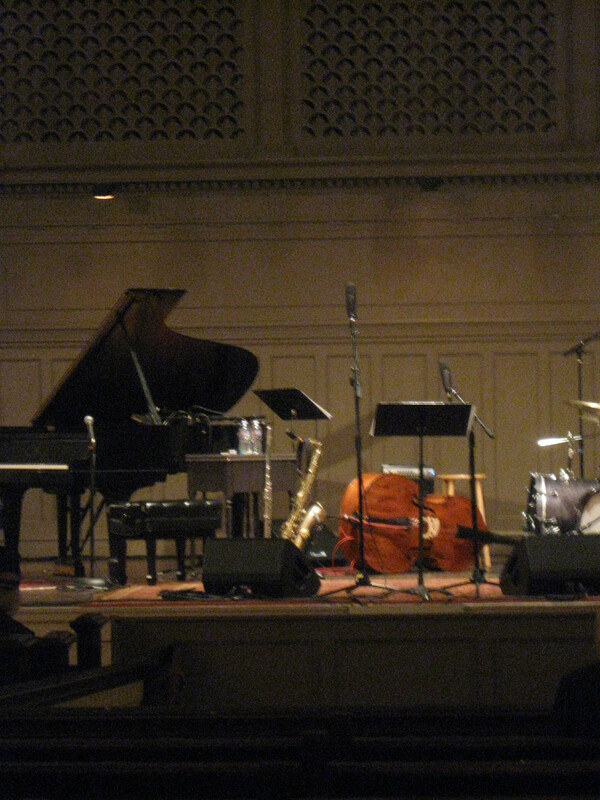 Last night, I saw Charles and company at Seattle’s equally historic Town Hall, as part of the Earshot Jazz Festival, where they spent two hours playing the wind, thunder, rain, and one huge waterfall, to create an acoustic wall of sonic innovation. I admit it: in 1968, I definitely couldn’t understand the music; this time around, I didn’t try. I just let it come in. Charles Lloyd and drummer, Kendrick Scott. Gone was the light show, the clouds of marijuana smoke, dancing hippies, and the scent of incense. Who needs those when you’ve got a 77-year-old Charles Lloyd, at the peak of creativity and musicianship, surrounded by three of Planet Earth’s premier young jazzers? I don’t have the requisite vocabulary to describe in technical terms how or what the four men played last night. I’m a self-taught musician and music lover. I can tell you that I loved what I heard; and what I heard made me feel very good. Since the music was impressionistic in nature, I’m offering my impression of the concert, rather than a traditional review. The band: Gerald Clayton, piano, often plucked his instrument’s strings, and at some points, he laid his left hand directly on the strings, while hitting the keys with his right hand, to get a tres’ strange, muted effect. His shimmering notes rained down throughout the evening, sometimes in the form of light showers; other times in a torrential downpour. Reuben Rogers produced thunderous flurries of low notes on his beautiful acoustic bass. He occasionally and expertly used a bow. Watching him encourage his fellow musicians to go for the unreachable was, in itself, very inspiring. Drummer Kendrick Scott created the tumultuous sounds of a cascading waterfall, incorporating mallets, brushes and his bare hands in order to craft seemingly impossible sounds, while he literally played his waterfall. Pianist Gerald Clayton, Charles Lloyd, bassist Reuben Rogers, Earshot Jazz Festival impresario John Gilbreath, behind Reuben Rogers. 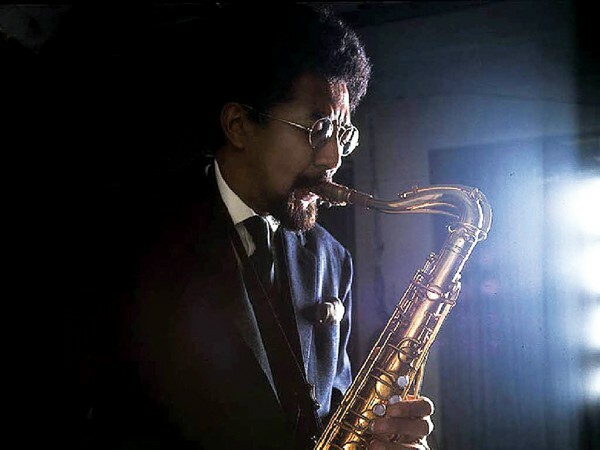 The master, Charles Lloyd, played sax on the evening’s first piece, his Wild Man Dance Suite, which lasted for approximately ninety minutes. The windstorm he created echoes in my ears at this very moment. — For the encore, which went unnamed, Mr. Lloyd played flute, hand percussion and sax. His command of the instruments cannot be overstated. I doubt there is anyone living who can harness the wind more expertly or passionately. I don’t think I will attend another jazz concert. 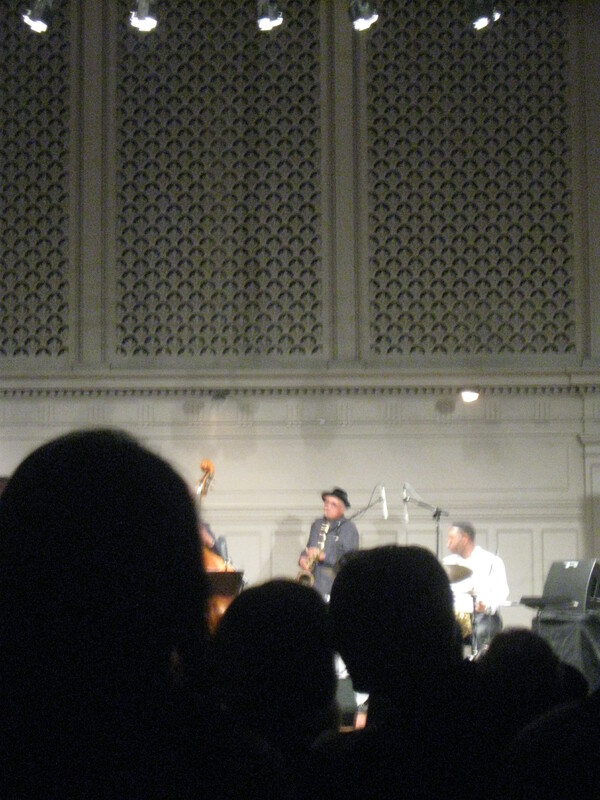 As far as jazz goes, I’ve book-ended my life with Charles Lloyd shows, and I may just leave it at that. Notes: Photography was very difficult. Photos weren’t prohibited; but no one was taking them. I didn’t want to bother folks. We were all so absorbed by the music. I did the best I could. I was worried I wouldn’t get any at all. Charles reminded me of three other performers: Leonard Cohen, Elvis Costello and Van Morrison. It was his age, and his body language, I think….